إذا كنت تبحث عن فندق بموقع جيد في كاكا بوينت، فقد وجدت ضالتك في Nugget View Kaka Point Motels . يمكن من هنا للضيوف الاستمتاع بسهولة الوصول إلى كل ما تقدمه هذه المدينة النابضة بالحياة. يوفر الفندق بفضل موقعة الجيد وصولاً سهلاً إلى أهم معالم المدينة.
. يقدم Nugget View Kaka Point Motels خدمات لا غبار عليها وكل أشكال اللياقة وحسن الضيافة اللازمة لإسعاد ضيوفه. هذه بعض الخدمات الموجودة في هذا الفندق: مرافق مخصصة لذوي الاحتياجات الخاصة, صف السيارات, خدمة غسيل الملابس. لقد جهزت هذه الإقامة الفندقية بعناية فائقة لتوفر مستوى عالي من الراحة. في بعض الغرف يجد النزيل تلفزيون بشاشة مسطحة, بياضات, حوض الاسترخاء, غرف لغير المدخنين, تدفئة. يمكنك طلب اللائحة الكاملة للخدمات في الفندق ومن بينها رياضات مائية (غير آلية). اكتشف مزيجاً ساحراً من الخدمة الاحترافية والخيارات الواسعة من وسائل الراحة والمتعة في Nugget View Kaka Point Motels. We stayed in economy unit 5. Interior is a bit dated, but it was a large spacious unit with a full kitchen and could easily sleep 4. 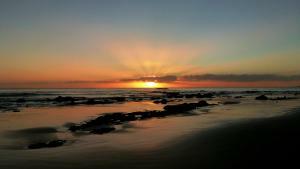 Great view of sunrise at Kaka point. About 20 mins from Nugget Point. Spacious apartment, fully equipped with great view. Free wifi and parking. Nice host. 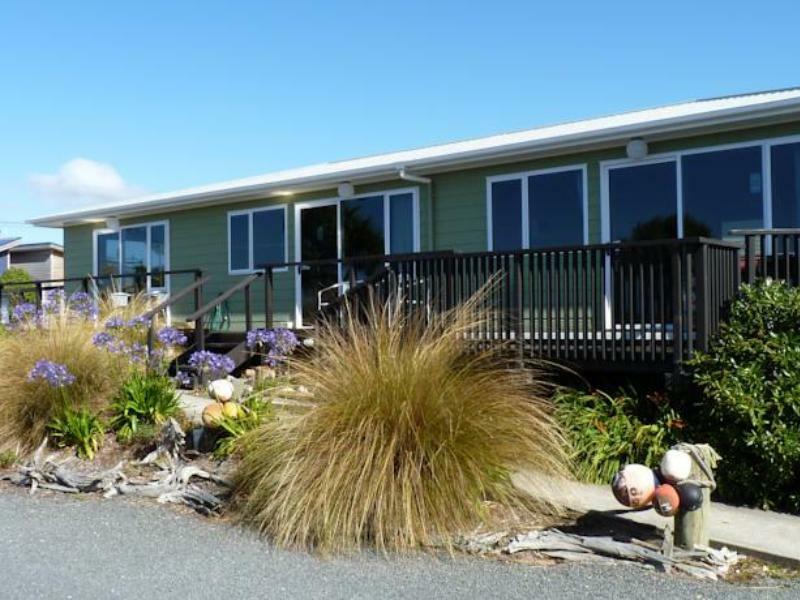 Great location on top of the hill; sea view spacious room; close to the nuggets. Love it! 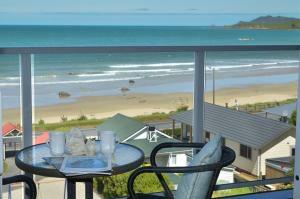 A great Motel in the gorgeous Kaka Point. Unit was more like a home than a Motel. Very homely and spacious. 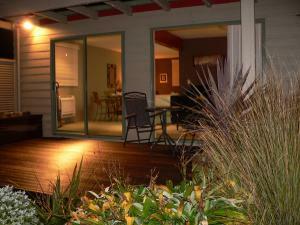 Owner very helpful with knowledge of the area and best activities for whatever the season is. Would stay here again. One night stopover to see Nugget Point area. Very convenient and comfortable. Met all our needs. The heating was inadequate,the mattress was ancient and sloped to the middle. The door to the bathroom could not to closed and in fact the whole setup was of a very low standard yet the room rate was comparable to all other accommodation we enjoyed during our south island trip. Great and quiet place! Spacious unit with fully equipped kitchen & bathroom. Amazing sea view from the unit. The owner (Bruce) provide guides on where and what time to see penguin and sun rise. However, there are not enough sockets to recharge devices. A great unit with an amazing view. The unit was well set out and had a lovely kitchen. There were some spring daffodils in a vase on the table. The owners were very helpful with ideas and directions on what to do in the area. They also offer evening and day tours. After an afternoon exploring Nugget Point and seeing the Yellow eyed Penguins at Roaring Bay it was so good to come back to a warm unit and have a spa bath. The bed was very comfortable so we had a very restful sleep. Superb stay, great location for New Years Eve, friendly staff. Amenities are great, comfortable, clean spacious units. Always a pleasure to stay here!